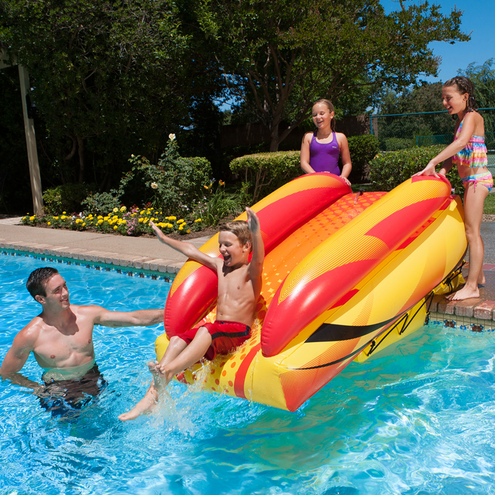 Bring the waterpark to your backyard with the Aqua Launch Slide by Poolmaster! Complete with a hoze attachment to keep the slide wet and keep the party going. The water filled base helps weight down the slide to keep it in place. Great for parties!